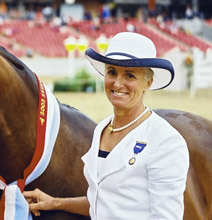 Carol has taught riding for over forty years, lived and worked on the land, competed intensively (Hacks, Galloways, Ponies and breed horses) and although 'Showing' is her forte, has 'dabbled' in most horse sports. 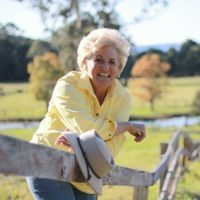 As a multi category Royal/National Judge for the Show Horse Council of Australasia and Equestrian Australia and also on numerous Breed Panels, she has judged all around Australia at Agricultural Shows, Breed and National Shows, Royal Shows and has judged Internationally. 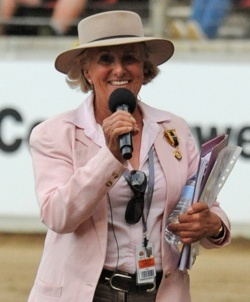 She has served for many years on committees and organisational bodies, combining this knowledge and experience with her entertainment skills, to make a first class all round Broadcaster for Horse events (and indeed a variety of events) large and small. 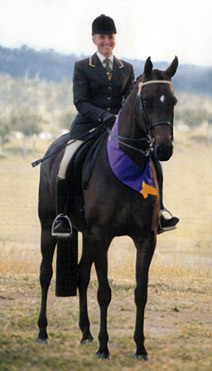 Carol's Horse Poetry, hilarious and haunting, is a popular entertainment drawcard for equine functions. 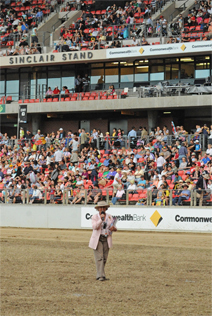 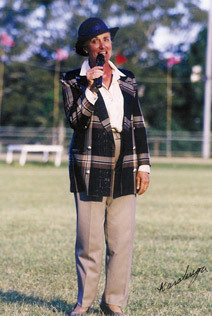 As a bonus her Horse Poetry, hilarious and haunting, is a popular entertainment drawcard for equine functions. 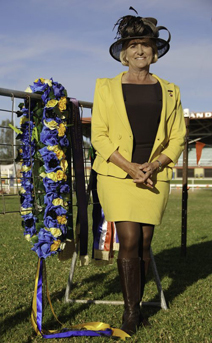 STOP PRESS: Carol has accepted the honour of judging at the Royal Easter Show 2017, the largest in the southern hemisphere.